Space World Magazine | Critical Enquiry - Deconstructing pseudohistory since 1999! 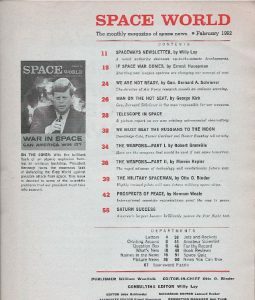 Space World magazine (“the news magazine of Astro-Science”) was published from May 1960 through the late 1980s. The founding publisher was the prolific writer and comic book developer William Woolfolk, with Otto Binder and Willy Ley on the editorial team. 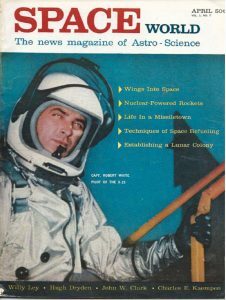 In 1963 it was acquired by Ray Palmer’s Palmer Publications and then transferred on Palmer’s death to Charles Spanbauer, who continued publishing the magazine in association with the National Space Institute (NSI). The periodical had a tremendous following among space technology enthusiasts, the scientific community, NASA engineers/scientists (who often wrote significant portions of the material), and launch-watchers who were glued to every report of space related events. Authors were practically a who’s who of important space scientists of the era – Wernher von Braun, Willy Ley, James Oberg, and many others were regularly posting material to the publication. 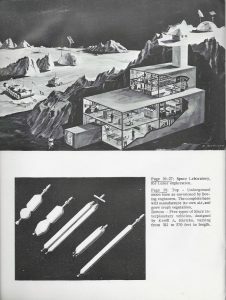 The quality of the material published enabled the magazine to survive some very lean years, even with a minimal base of advertisers, until a merger between the L-5 Society and NSI to form the National Space Society (NSS) effectively doomed Space World. The last issue was published in December 1988. Critical Enquiry has acquired the copyright from the former publisher, and we are in the process of scanning every available issue. Currently we have most copies published from 1960 to 1968, and are actively searching for more. Our intent is to offer them in a high quality searchable PDF format. We are making these available at low cost (effectively covering the price of acquisition, scanning, hosting, and other outlays) in order to give new generations the opportunity to read material published during the heyday of the US space effort. The revenue will also help us acquire more issues for the site. In the pages of the available issues you’ll read about the development of space suits, lifting platforms, satellite technology, and much more. Lists of satellite launches, dates, altitudes, and radio frequencies were published. Articles discussing the possibility of war in space, journeys to Mars and beyond, legal challenges to space travel, and other social issues are also included in many issues. Space World gives us an excellent time capsule into the history of these heady, technologically challenging times as well as the social and political topics that occupied the minds of millions of Americans. Note: we have most issues covering 1960 through 1968, and will be scanning more over the next few months. Stay tuned, and visit the site often to see which new offerings are on tap! Since some folks have expressed interest in discussing SW and space travel/exploration in general, I’ve just set up a basic forum to handle that traffic. Still trying to figure out how to just add the forum to this page, but in the meantime you can visit this link. To introduce readers who may not be familiar with the publication to the quality and content, we are offering the June 1964 issue free of charge (price will display as $0.00 during checkout).